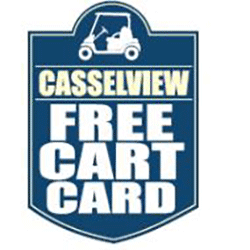 Don’t pay for your carts when you play a round at Casselview. Valid for 12 months from first visit. Do not pay for your cart, each time you purchase a green fee.